Two educators and WKU graduates were recently honored with prestigious awards. Bernard I. Minnis, a longtime educator and school official, is the recipient of Louisville’s 2009 Dr. Martin Luther King Jr. Freedom Award. The award that goes to a Louisville resident who reflects King’s ideals and who has promoted justice, peace, nonviolence and racial equality. Minnis, 67, is assistant superintendent for diversity, equity and poverty programs for the Jefferson County Public Schools. 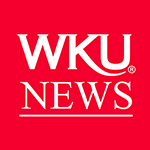 The Louisville native received his bachelor’s degree from Kentucky State University, a master’s degree from WKU and a doctorate from the University of Kentucky. Kevin Briley, band director at Bowling Green High School, is the Kentucky Music Educators Association’s Educator of the Year. For the past 18 years, Briley has dedicated his career to teaching all the band classes throughout Bowling Green’s sixth through 12th grades. 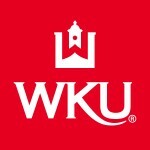 The Evansville, Ind., native began teaching 20 years ago after graduating from the music department at WKU.